Who could resist the new 2018 1oz Disney Scrooge McDuck silver coin? Part of the New Zealand Mint's Disney Coins collection for the Pacific nation of Niue, the 2018 silver Scrooge McDuck is a must for fans of the lovable rogue and his famous nephew, Donald. And, of course, the coin is a great choice for investors thanks to its .999 pure silver content. 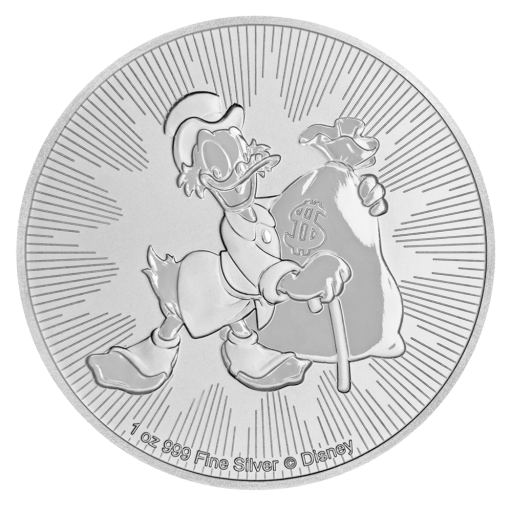 Why invest in the 2018 Silver 1oz Disney Scrooge McDuck coin? 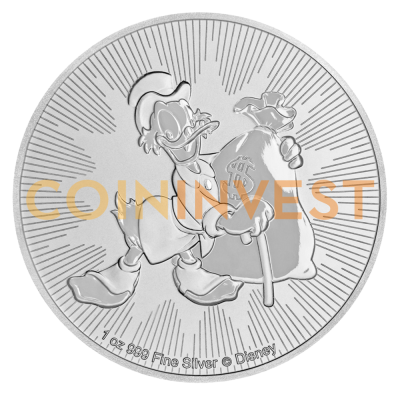 Order your 2018 1oz Disney Scrooge McDuck silver coins today with coininvest.com and be among the first enjoy its unique design details. All coins are securely packaged and insured for fast delivery. Beautiful coin but it arrived with bag marks all over the obverse in the most prominent places..